Manntech employs staff across the globe, as a group of companies employing approximately 200 people at seven locations: Germany, Netherlands, France, Middle East, the United States, Australia and Hong Kong. The group has manufacturing facilities in Europe and enjoys a strong global presence through a network of regional offices and distributors around the world. Our team consists of highly experienced designers, engineers and service technicians who are committed to working with our valued clients and delivering access solutions. 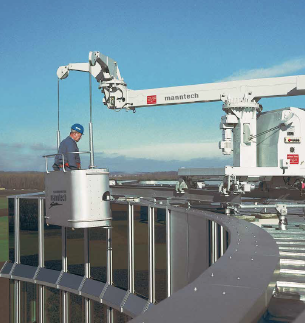 Working with Manntech means being a part of a global pioneer in the facade access industry and a recognised brand renowned for quality and innovation.